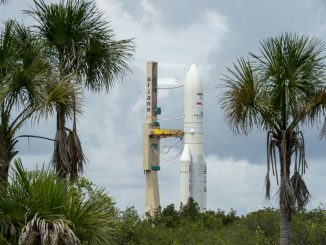 Russian rocket technicians working in the French Guiana jungle transported a three-stage Soyuz booster to its launch pad Monday and erected it upright for liftoff Thursday with four communications satellites for O3b Networks, a company with aims to beam broadband Internet service to the developing world. 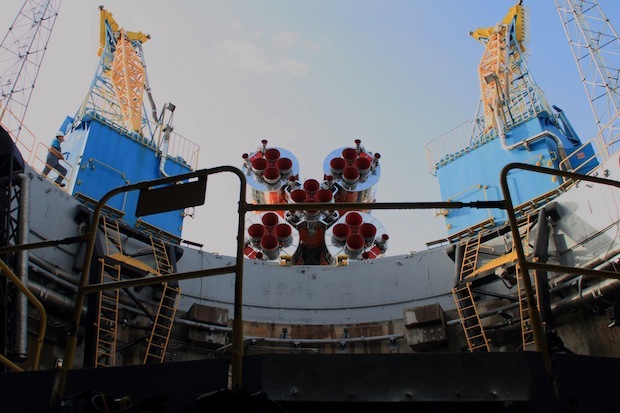 The rocket rolled to the launch pad from a horizontal integration building riding on rail tracks while mounted on a specially-built transporter-erector system. 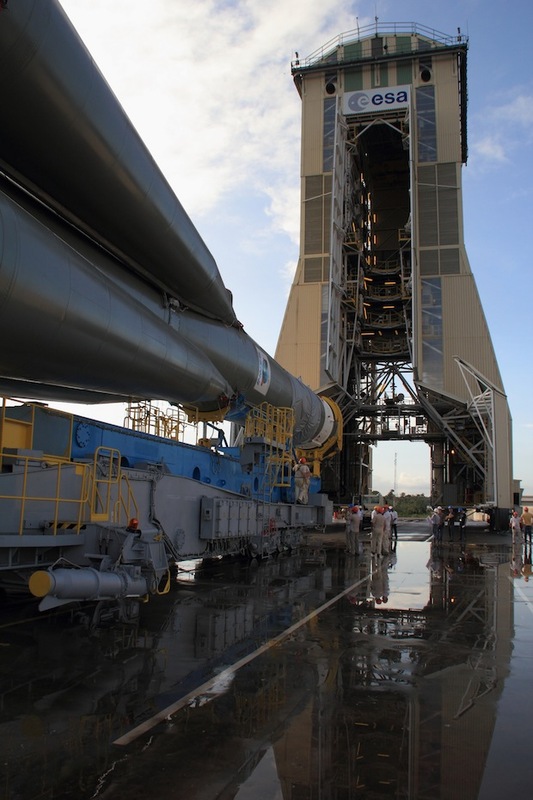 Once the rocket completed the nearly half-mile rollout, the transporter-erector lifted the rocket vertical, then workers mounted the Soyuz to hold-down clamps suspended over the launch pad’s flame trench. 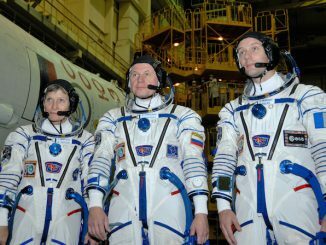 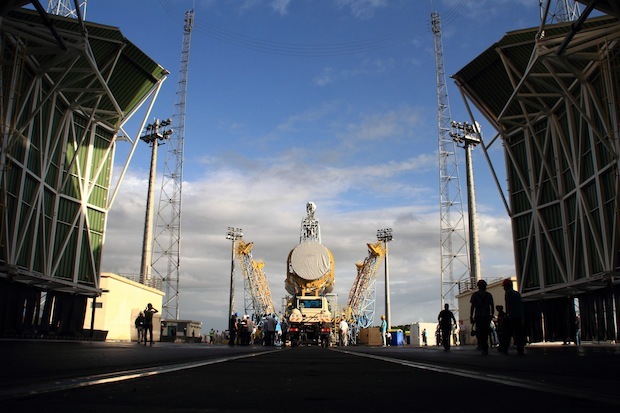 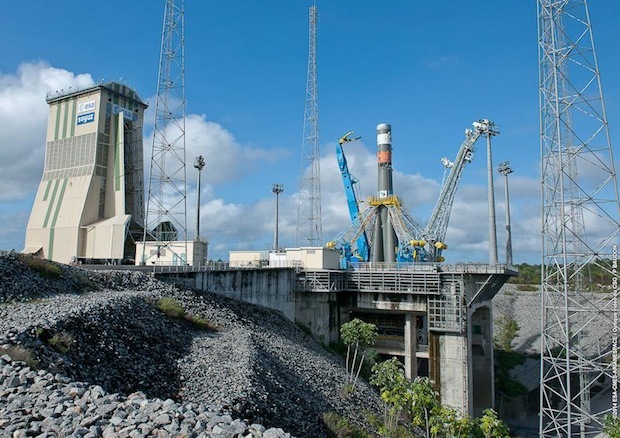 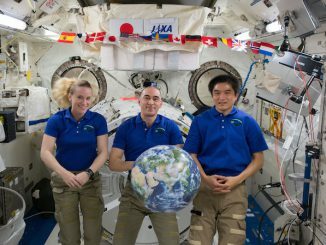 Later Monday, officials planned to transfer the mission’s four satellite passengers and a Fregat-M upper stage from a clean room across the Guiana Space Center to the Soyuz launch facility. 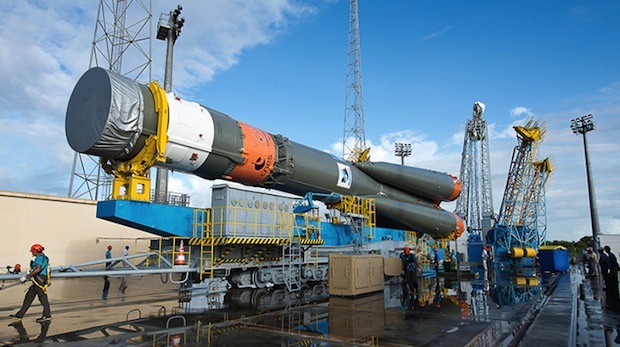 The O3b satellites, already encapsulated inside their payload shroud, will be hoisted into the launch pad’s 174-foot-tall mobile gantry and positioned on top of the Soyuz ST-B rocket. 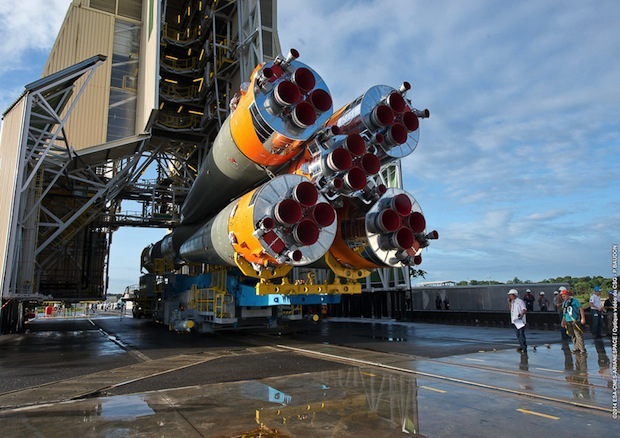 Liftoff of the Soyuz booster on its 10th flight from the European-run French Guiana space base is set for 1837 GMT (1:37 p.m. EST) Thursday.